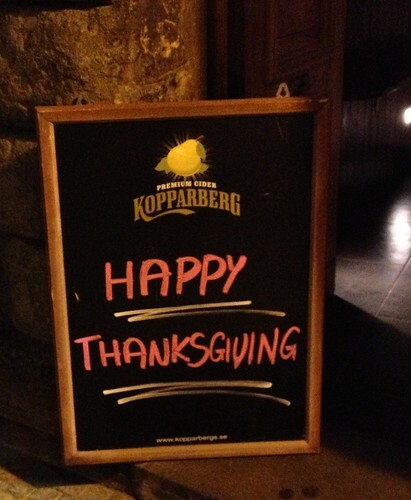 Another Turkey Day away from the States. It's sad not to be with my family, eating some favorite Thanksgiving trimmings, but since I can't be there I'm happy that there is always a great travel destination a plane ride away. This year I traveled to Prague, with some of our new teachers that arrived in August. 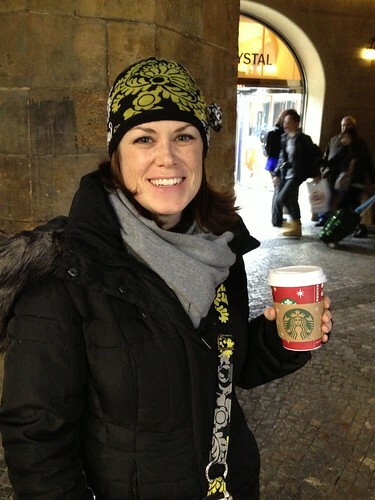 I had heard that Prague had Starbucks and bagels, so this made Prague an excellent destination. I was not disappointed. I had bagels for breakfast most mornings and Starbucks lattes multiple times. Yum! 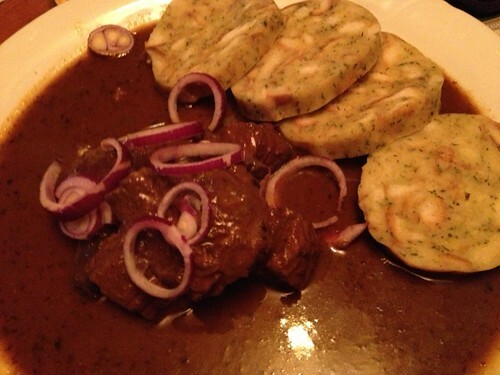 Twice while in Prague I ate traditional beef goulash with dumplings. It was pretty delicious. The beef was made with my favorite "stringy beef" and I was happy to try the traditional food. Goulash #2- these dumplings were better than the 1st! 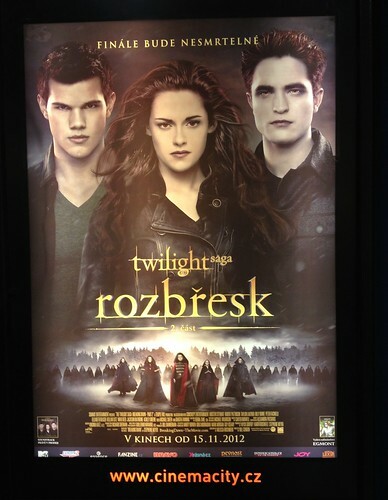 Another highlight of visiting Prague was getting to see Breaking Dawn 2 in English. The theaters in Milan have been showing it in Italian but my Italian is still pretty rough. In Prague, it played in English with Czech subtitles. I was so happy to get to see it before heading back to the States. So, onto things actually related to the city of Prague! We spent Friday and Saturday touring the city and its various quarters. The "Old Town" area was very nice. We wandered through those streets several times. There were a lot of souvenir shops! It felt harder to find handcrafted gifts here than in other places, but I did have a lead on a jewelry store where I could buy Bohemian garnets, so a few people are getting this under the tree this year! Prague still shows evidence of it's communist past. Many of the buildings were cold and stark and felt very industrial. It wasn't a city that was warm and friendly like some other European cities seem to be. I wonder if my opinion would vary if I visited during the warmer months. 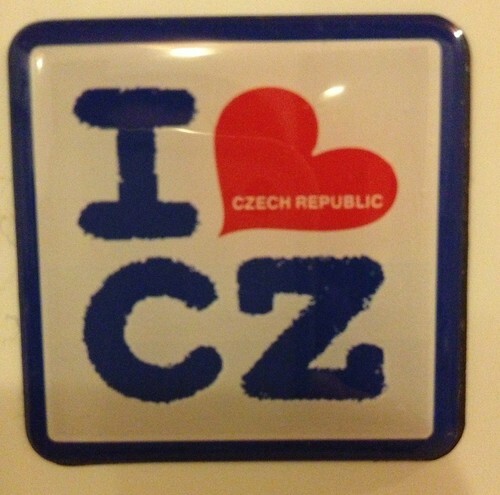 My favorite thing about Prague was that it was in the Czech Republic and everything says CZ! I bought stickers and magnets with my initials, which aren't always the easiest to come by! I love CZ, too!! Miss you.